Eliminating processed foods from our diet is a whole lot easier when it comes to meals. When it comes to snacks, it’s a whole different ball game and grabbing a pre-packaged, convenience snack food is just so… convenient. Fortunately, if you’re trying to eliminate processed snacks, the journey has just become a lot easier. 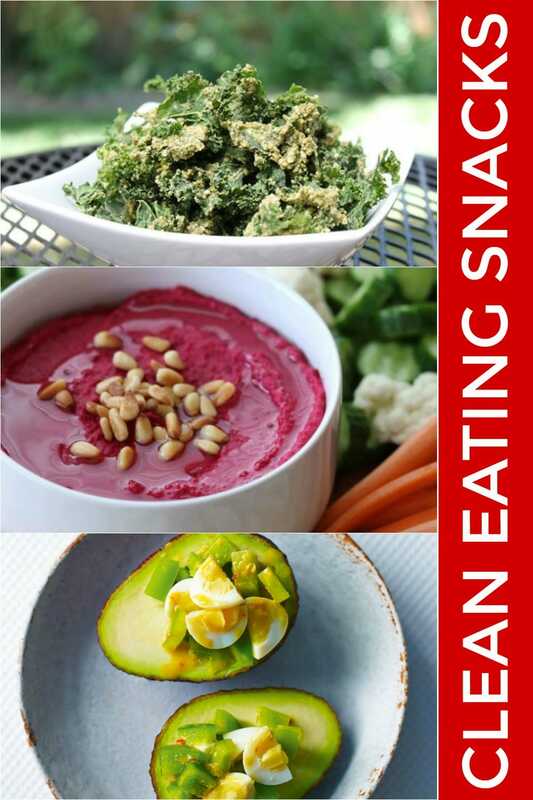 I’ve rounded up some of the most mouthwatering clean eating snacks! Time is a real luxury these days with work, family and social commitments; often times we resort to processed/packaged meals for convenience sake and not necessarily for the nutrients that we hope to furnish our bodies with. We end up stuffing ourselves with chemical laden foods that cause unhealthy cravings throughout the day and increase our risk of suffering from health issues such as diabetes and heart disease. To successfully make the switch to clean eating, you have to approach it as a lifestyle change and not some diet fad; this will require you making a conscious effort to plan and prep your weekly meals and snacks are no exceptions. To get you started, here are 50 clean eating snacks you can easily make yourself. 18. Roasted Pumpkin Chips – A delicious crispy snack that can be enjoyed pan fried or oven roasted. 27. No-Bake Cinnamon Roll Cookies – They’re vegan, gluten -free and paleo friendly. 32. Oatmeal Cupcakes To Go – This delicious, fiber-rich breakfast recipe makes for an excellent mid-day snack as well.